International restaurant à la carte with dinner-show of Tango. Exquisite dancers roam five historical moments of the tango to the beat of the quartet of the teacher Ado Falasca and excellent voices of the tango. The service includes entrance, main course, soft drinks, mineral water, wines from our cava, dessert and coffee. 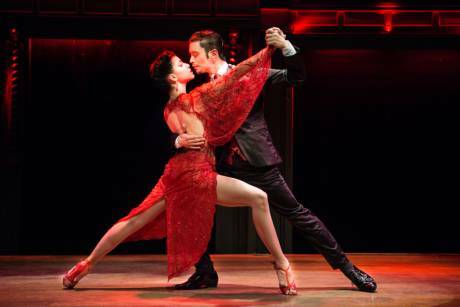 Enjoy authentic tango dancers, accompanied by live musicians, singers and a dinner in an intimate and traditional atmosphere. 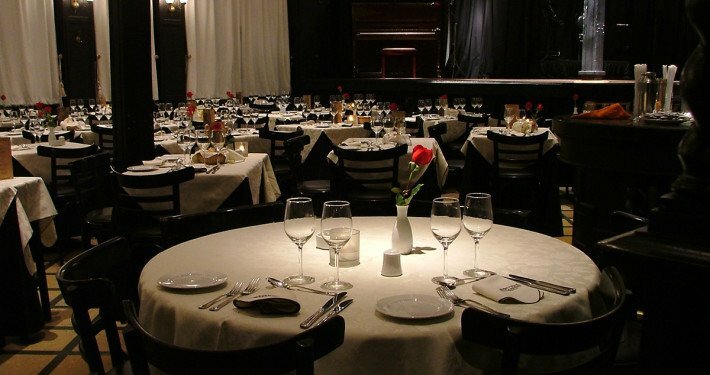 Located in the historic city centre, in San Telmo neighborhood, El Querandí has the best tango dinner show in Buenos Aires. This old mansion of 1920, carefully restored in 1992 after being closed for 12 years, is characterized by having respected with absolute devotion the atmosphere it had at the beginning of the last century; adding, a service of excellence, an exquisite gastronomic menu with typical Argentinean regional dishes and a tango show that shines for its quality and authenticity. All this, of course, is possible thanks to the sincere respect that El Querandí has for its past; seeking at all times to keep alive the soul of tanguería, also conserving a warm, pleasant and intimate space, where the client is attended to in every detail so that he can experience a night that will be forever impressed in his memory. Our style, closely linked to art, culture and gastronomy, is expressed in an incomparable way in our dinner tango show in Capital Federal; an ideal way to fully live the experience of tango in a typical place, with deep historical roots, and with the possibility to taste a wide menu of traditional dishes of our country, accompanied by our surprising wines. El Querandí invites you to discover its ancient mysteries, to locate yourself in Buenos Aires at the beginning of the 20th century, to travel through the history of tango from there, to experience it intensely and passionately through its rhythmic chords and the sensuality of its dance and then to keep it alive forever in the memory. 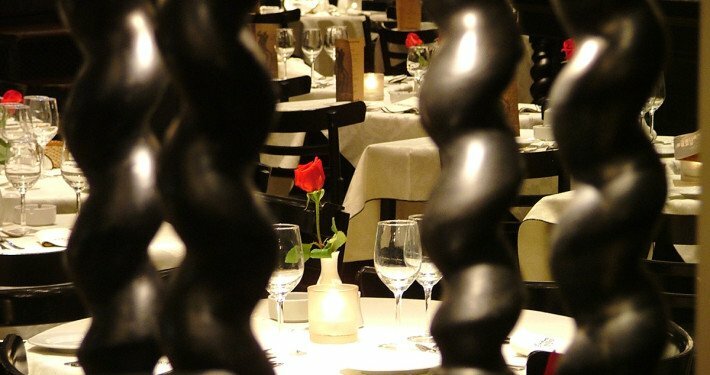 Our show, surprising for the quality and prestige of its artists, allows us to relive the history of tango night after night, after savoring the best of Argentine cuisine. Only 53 winners, for antiquity, architectural design and relationship with significant cultural events and activities. It was built in 1860 and restored respecting its original demter and for promoting Tango, considered a cultural heritage of the Argentine Nation. The director Aldo Falasca, accompanied by his remarkable quartet of piano, double bass, bandoneon and violin, are the musical protagonists of the most recognized dinner and tango show in Buenos Aires; and they are the most suitable frame and support where the excellence and skill of our exquisite dancers will fill the main hall with all the magic of tango, with its history and fascinating tradition. El Querandí is an authentic icon of the city of Buenos Aires. It has been awarded by the Historical Museum of the City, dependent on the Secretariat of Culture with the title of “Testimonio Vivo de la Memoria Ciudadana” authenticity and fidelity with which it was carried out its restoration in 1992, after remaining more than 12 years abandoned, it has also been honored by the same secretariat of culture as “Bar and Remarkable Restaurant of the City of Buenos Aires” and distinguished as “Sitio de Interes Turistico”. In summary, our proposed dinner tango show in San Telmo, in the historic quarter of the city, contains the very essence of Buenos Aires in its early twentieth century architecture, with its art-deco facade, its solomonic columns, its chess floors, its coats of arms and its arches, invite you to move to another time, to taste the most representative dishes of each region of our country accompanied by the renowned Argentine wines.